Shanghai is the most dynamic city in China. It is not only a city with ancient relics but a ever-morphing metropolis. 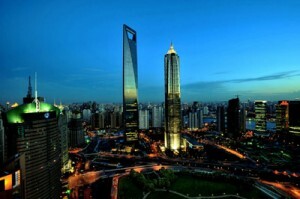 In this one day Shanghai tour, you will enjoy both the “Classic and Modern” Shanghai. The trip highlights include Yuyuan Garden, The Bund, Shanghai Museum and Old French Concession. English-speaking tour guide, air-conditioned coach, entrance tickets, Chinese lunch, pick-up and drop-off service, all these are included with affordable price. You will have a pleasant trip with us. Our tour guide will pick you up from your hotel around 7:30AM. Then you will walk through the Shanghai Old Street (30 minutes) to feel the local life of the past old days. 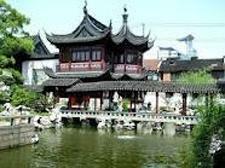 Then continue to visit the nearby Yuyuan Garden (1 hour), which is believed to be built by an government officer for his parents 400 years ago during the Ming Dynasty. Its exquisite gardening arts make it one of the must-see places of Shanghai. After that you will enjoy a cup of tea at Old Shanghai Tea House (30 minutes). Then walk along the famous waterfront – The Bund (40 minutes). The Bund is a famous place along the Huangpu River and the symbol of Shanghai, where you will enjoy exotic building clusters in the Bund of Shanghai. Have your lunch (1 hour) in a local Chinese restaurant in the Bund area. After that you will have a distant view of the land mark of Shanghai – The New Oriental TV Tower and other skyscraper rears high into the sky across the Huangpu River. Then pay a visit to the famous Shanghai Museum (1 hour) to learn about the history, life and other aspects of Shanghai. After that you will have chance to go shopping at the Pearl City (30 minutes). Then have some walk along typical Shanghai alley – Tianzifang Old Lane and sightseeing at Old French Concession. Drop you off at your hotel around 6:00pm. End of the tour.